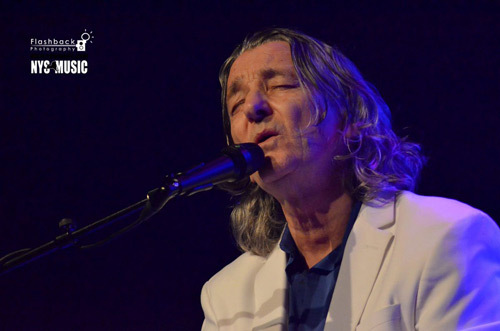 At the age of 12, Roger Hodgson was given a guitar that would mold his destiny of writing and composing music. For anyone who has listened to Roger’s music, you can tell it’s written from the heart as it touches those that hear it in a way that is personal to them. The lyrics are meaningful, melodies well thought out and it’s composed as a classical piece of music is, with thought and organization. 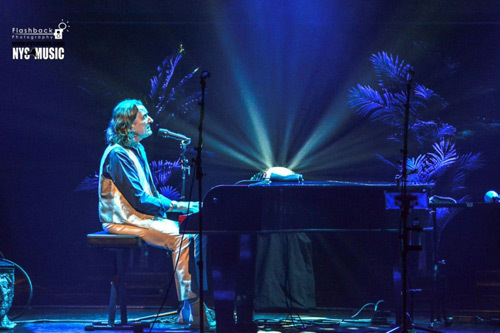 As one of the founders of Supertramp, Roger Hodgson would have numerous Top 10 hits, sell out arenas and live a life that most musicians strove to achieve. However, in the height of success, Hodgson chose to leave the group in 1983. The decision would speak volumes and give his fans an insight to his personal character. When faced with a choice of continuing on a trek of selling out arenas or being present in the lives of his wife and children, he chose the latter. Arriving early to take my seat at the Turning Stone Showroom, I anxiously awaited a moment I never thought I would get to experience: hearing the voice of Supertramp. As a child of the ’70s and ’80s, the band disbanded by the time I was old enough to be able to go to concerts on my own. I was only able to listen to recordings and mentally visualize a show. It was a moment I didn’t think I would have an opportunity to experience, and one I was relishing in as a teenager in an adult’s body. Roger Hodgson got right into his set, starting the party with “Take the Long Way Home.” Most artists don’t come right out of the gate with such force, especially when they have a two hour set to play. Not to worry though, with a catalog of popular hits both with Supertramp and that of his solo career, the choice of songs to perform was more of the struggle rather than filling the two hours with music the crowd would love. A successful leader, whether in the corporate world or musical in this case, surrounds himself with the best of the best to bring out the best in themselves. This is the case with Hodgson’s band. 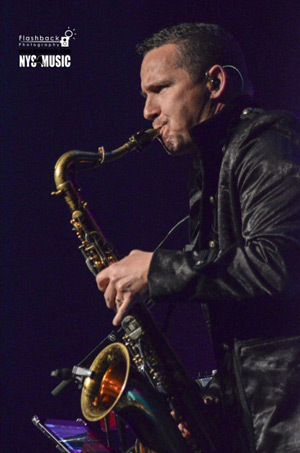 He’s surrounded himself with some of the best musicians in the business and their ability to play together is seamless and without effort as they feel the music and perform as a cohesive team. Front and to stage right you’ll find Aaron MacDonald on saxophones, harmonica, keyboards and backing vocals; behind the plexiglass is Bryan Head on drums; behind Roger stage left is Kevin Adamson, also on keyboards and backing vocals; and center stage behind Roger is David J Carpenter on bass and backing vocals. Not to take away from the original band, but to close my eyes and listen to the music I wouldn’t have known it wasn’t the same band as these guys played without effort and with the same passion I heard time and again in the music I grew up with. It was refreshing to see Roger share the stage with these guys and see the respect he gave them as they played their parts along with him. It is apparent that they are a musical family. 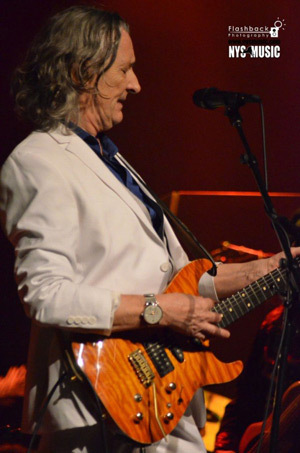 Throughout the night Hodgson played many of his hits such as “Breakfast in America,” “The Logical Song,” “Dreamer” and “Give A Little Bit,” to name just a few, demonstrating his fluid keyboards and hitting all the same high notes as he did all those years ago. But it was with his solo music that this multi-faceted artist blew me away. With hits such as “Had a Dream,” he blew me away with his guitar skills, and with “Fools Overture” I saw the musical genius he had as he took three songs that didn’t stand up on their own and melded them together in a musical composition that one must listen to many times to truly appreciate the sound. As I listened to it for the first time last night, I could hear musical influences of the times in the piece such as the sound effects interspersed within, and the story line that took you someplace else. The music itself took you on a roller coaster ride with highs and lows of sound, bringing you back home with meaningful lyrics. I urge you to check his recording out on his Youtube channel as he’s accompanied by an orchestra which truly punctuates the genius in this number. 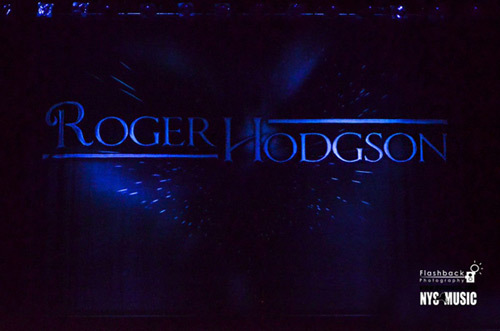 Another number that truly impressed me and brought me to another place was “Death and a Zoo” from Hodgson’s fourth solo album, Open the Door. Not only could you imagine what it would be like, you could feel through the music the question he posed – as a wild animal faced with the choice of death or living your life out in a zoo, which would you chose? A-M-A-Z-I-N-G! As a teenager at the time Breakfast in America came out, this album was one that I enjoyed from start to finish. I would put on my headphones and lose myself for hours, song after song. There was one song in particular on this album that spoke to me. This song would be my ‘go to’ song when feeling confused, sad and misunderstood, as most teenagers tend to be during those years. Heck, even as an adult we find solace in music. It was uplifting to me then and still is today as it helped me find faith in times I need it most. As Roger spoke to the crowd about this song, it was comforting for me to hear that he wrote this as a teenager, and that it was a way for him to find a voice in those years as well. Years later, he would sit there and tell us how his music touched others, and that perhaps it was because he writes from the heart for himself that it also can touch those heartstrings for so many others. I made a special request that he play “Lord Is It Mine,” and as he called out my name and that of another mother and daughter that had also requested he play it, he dedicated it to us all. It was difficult to hold my composure as I felt a full circle moment occur. Yep, it was pretty darn cool. Thank you Roger for writing this beacon of a song, and for making it even more special to me last night with your dedication.